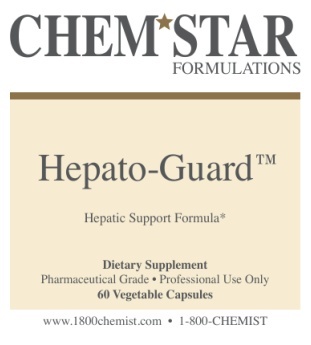 Hepato-Guard™ contains ingredients noted for their antioxidant properties and that have been shown to support healthy liver function and aid in protection of liver tissue. Alpha Lipoic Acid acts as a powerful free radical scavenger. Silymarin (Milk Thistle Extract) acts as a hepatoprotectant. Selenium is a trace mineral that supports the antioxidant enzyme glutathione peroxidase. 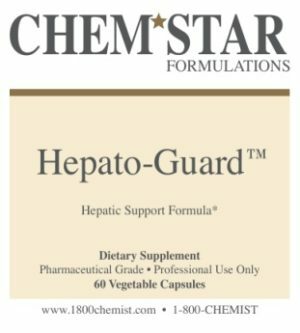 N-Acetyl Cysteine supports liver function through its action on glutathione conjugation and sulfation.